Home / Blog / Mom / Mom Or Mama? by sarahon November 7, 2013 Leave a Comment on Mom Or Mama? Are you a Mom or a Mama? Most moms have a strong opinion and are either one of the other. 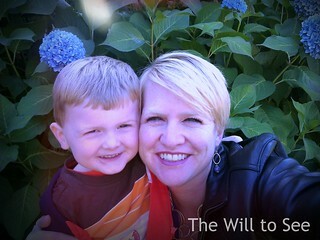 I was always a Mom and never wanted to be called Mama, until Will changed all of that. Will calls me Mama a lot. Sometimes he calls me Mom, I think because that is what Jack calls me. I never thought I would like being called Mama, but there is something about how he says it that warms my heart. My Mom is a Mom — it would feel very wrong to call her Mama. But there are others like my sister-in-law Jean who is definitely a Mama. What makes you a Mom vs. Mama? It has nothing to do with being nurturing; some of the most nurturing women I know are called Mom. Is it what you called your Mom? Maybe you pass along to your kids what you called your Mom so they learn to call you that too. In the end, it doesn’t really matter, because both Moms and Mamas love their kids and just want their kids to flourish. Are you a Mom or a Mama?